Some revealing quotes from Israeli leaders to provide context to the persistent policy of expanding settlements. David Ben Gurion (the first Israeli Prime Minister): “If I were an Arab leader, I would never sign an agreement with Israel. It is normal; we have taken their country. It is true God promised it to us, but how could that interest them? Our God is not theirs. There has been Anti – Semitism, the Nazis, Hitler, Auschwitz, but was that their fault ? They see but one thing: we have come and we have stolen their country. Why would they accept that?” Quoted by Nahum Goldmann in Le Paraddoxe Juif (The Jewish Paradox), pp121. 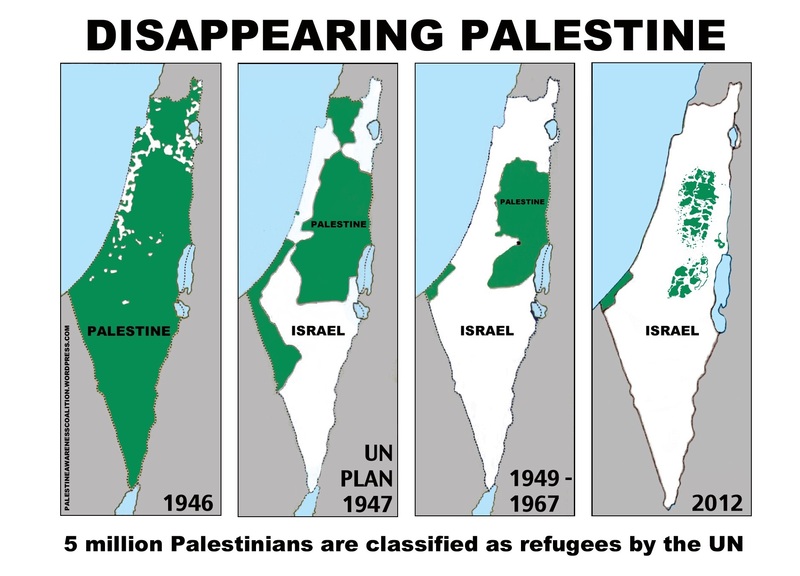 “The thesis that the danger of genocide was hanging over us in June 1967 and that Israel was fighting for its physical existence is only bluff, which was born and developed after the war.” Israeli General Matityahu Peled, Ha’aretz, 19 March 1972. “Everybody has to move, run and grab as many hilltops as they can to enlarge the settlements because everything we take now will stay ours… Everything we don’t grab will go to them.” Ariel Sharon, Israeli Foreign Minister, addressing a meeting of militants from the extreme right-wing Tsomet Party, Agence France Presse, November 15, 1998. “When we have settled the land, all the Arabs will be able to do about it will be to scurry around like drugged cockroaches in a bottle.” Raphael Eitan, Chief of Staff of the Israeli Defence Forces, New York Times, 14 April 1983. “We have to kill all the Palestinians unless they are resigned to live here as slaves.” Chairman Heilbrun of the Committee for the Re-election of General Shlomo Lahat, the mayor of Tel Aviv, October 1983. “How can we return the occupied territories? There is nobody to return them to.” Golda Maier, March 8, 1969. David Ben-Gurion, May 1948, to the General Staff.